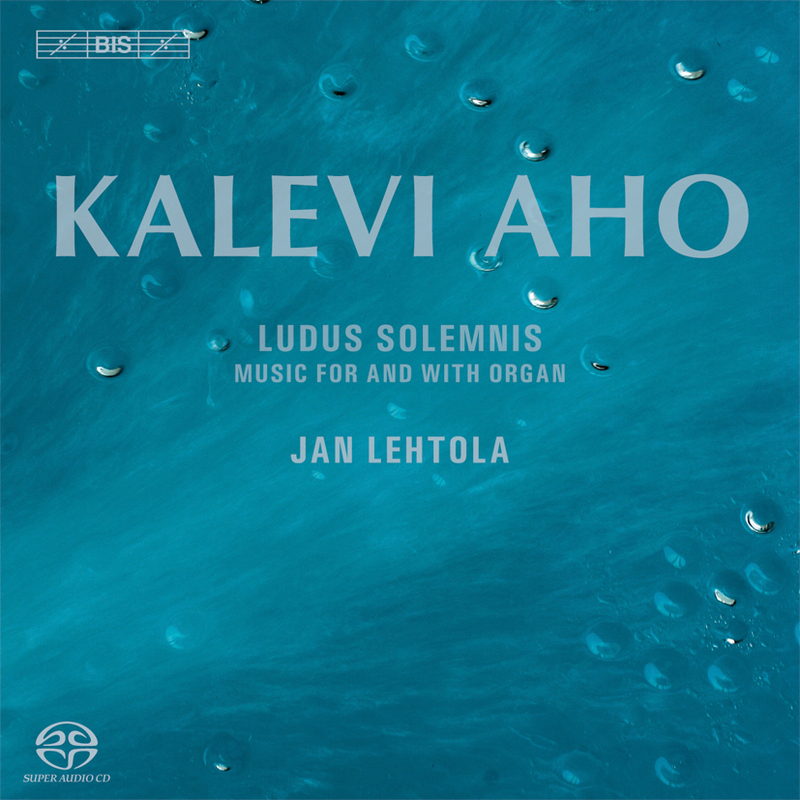 A companion to Jan Lehtola’s previous recording of Kalevi Aho’s monumental organ symphony ‘Alles Vergängliche’, the present disc includes five smaller pieces by Aho for organ solo, as well as three compositions for organ and one or two other instruments. First performed at the wedding of his sister, the two brief wedding marches were the first pieces that Aho wrote for the organ, and like the later Wedding Music they are kept in a tonal idiom – as the composer writes in his own liner notes: ’I did not want to distract attention from the bride and groom, but rather to create a suitable atmosphere.’ Ludus solemnis (‘the solemn game’) was composed for the inauguration of a new organ, which meant that Aho was writing for an instrument he had not yet heard – a challenge when it came to imagining the ‘orchestral’ sounds that he wanted to draw from it: ‘the string-like, wood wind-like and brass-like nuances of the new organ’. Another challenge arose during the composition of In memoriam, as this was to be played on a smallish-sized organ of the chapel where the funeral of the author Juha Mannerkorpi took place. (Mannerkorpi wrote the libretto to Aho’s opera The Key.) Also for a funeral, this time that of his own father, Kalevi Aho in 2002 composed Song of the Earth for organ, violin and oboe. 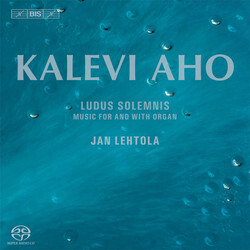 Whereas this and the earlier Epilogue for organ and trombone are quite short works, Kalevi Aho’s latest chamber composition involving the organ is a substantial work with a playing time of 17 minutes. Written in 2011 for the same players who perform it here, Quasi una fantasia is highly virtuosic and almost concerto-like in nature. The same year, and also for Jan Lehtola, Kalevi Aho made his own completion of Bach’s quadruple fugue in Contrapunctus XIV from Die Kunst der Fuge.